Dash D Cadet is "Off Dat Blow". New music from Cold FlamezListen to Rollin Like A Trucka, the new track by Dash (Cold Flamez) featuring D Realz, Haydeez & TC which was dropped on Wednesday, August 21st, 2013. Peep Dash (Cold Flamez) "Kanive" Video, the latest visual from Dash (Cold Flamez). It dropped on Saturday, February 23rd, 2013. Dash (Cold Flamez)'s odds keep getting better with each new leak, and Dash (Cold Flamez) "Kanive" Video will undoubtedly improve his chances of winning. It's a worthy addition to a respectable catalogue that has seen a lot of growth since Dash (Cold Flamez) debuted in this game. We're looking forward to the follow-up. New joint from Dash feat YTBump Kanive, the latest cut from Dash (Cold Flamez) featuring YT on the assist. It was released on Thursday, February 7th, 2013. Peep Dash (Cold Flamez) "I Got The Blues (Skit)" Video, the latest visual from Dash (Cold Flamez). It dropped on Thursday, December 13th, 2012. Dash (Cold Flamez)'s future brightens with every new release, and Dash (Cold Flamez) "I Got The Blues (Skit)" Video certainly isn't an exception. It's a fitting addition to a solid catalogue that Dash (Cold Flamez) has been developing since stepping foot in the game. We're excited to hear more. Listen to So Explicit, the latest tape from Dash (Cold Flamez). It dropped on Friday, November 2nd, 2012. Dash (Cold Flamez)'s future brightens with every new release, and So Explicit certainly isn't an exception. It's a fitting addition to a solid catalogue that Dash (Cold Flamez) has been developing since stepping foot in the game. We're excited to hear more. 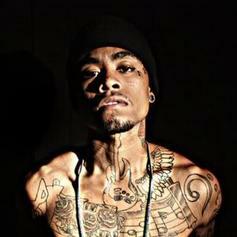 Have you heard Dash (Cold Flamez)'s new track The World Is Minez? It dropped on Friday, January 27th, 2012. 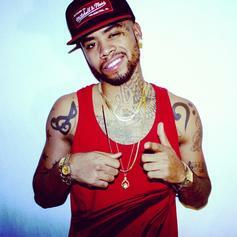 Have you heard Dash (Cold Flamez)'s new track Mirror Mirror? It dropped on Thursday, January 26th, 2012. 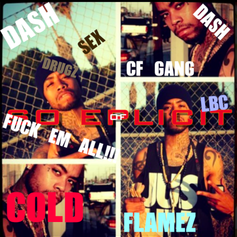 Listen to Get Baq In It, a new offering from Dash (Cold Flamez), which was released on Thursday, January 26th, 2012. Bump Murda Murda, the latest cut from Dash (Cold Flamez) featuring D Realz on the assist. It was released on Friday, May 13th, 2011.